A couple of weeks ago, we wrote a blog post about the rig upgrades we have underway to tackle west Texas’ long lateral wells. In addition to increasing mud pump capabilities, adding generators, and expanding racking capacities, we’re also modifying our rigs to drill more efficiently in response to low commodity prices. Here are a few of the ways we’re adapting some of our top-performing US rig fleet to drill deeper…cheaper. Trinidad’s moving systems enable our rigs to move (with drill pipe in the mast) forward and reverse at four feet per minute, and side-to-side at two feet per minute. Alright, so we’re not clipping along at Mach speed, but when you consider the size of a drilling rig, this technology is pretty cool. Trinidad rigs 57 and 58’s moving systems not only move the rig, but they move the rig’s backyard at the same time. For those of you that are new to the industry, a rig’s “backyard” is all the equipment used for operations such as power generation, control, mud storage and pumping. Another way we’re saving our customers time and money is with advanced festoon systems that can move 180 to 200 feet. A festoon system is a long structure that houses the rig’s cabling between the rig and its backyard. Festoons like Rig 142’s make it quicker for our teams to move the rig to a new well on the pad without moving the rig’s backyard too. 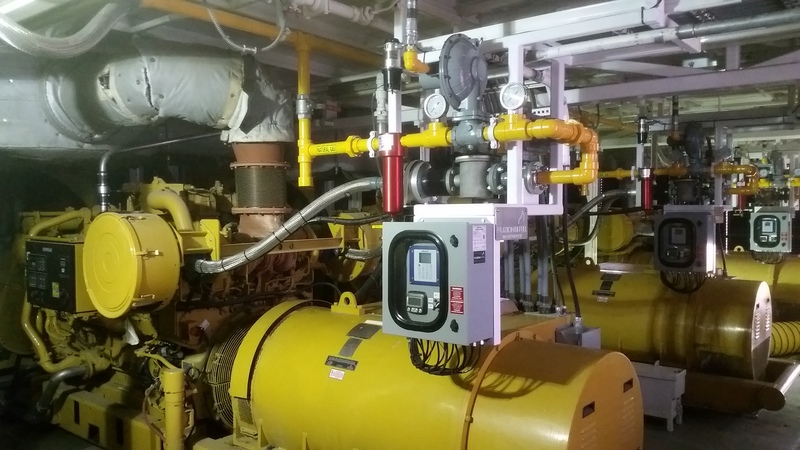 They reduce rig-up time and maintenance with fewer connections and quick couplers, and the cables are protected from the elements and theft. Bi-fuel kits are also being added to some rigs selected for our 2017 upgrade program. 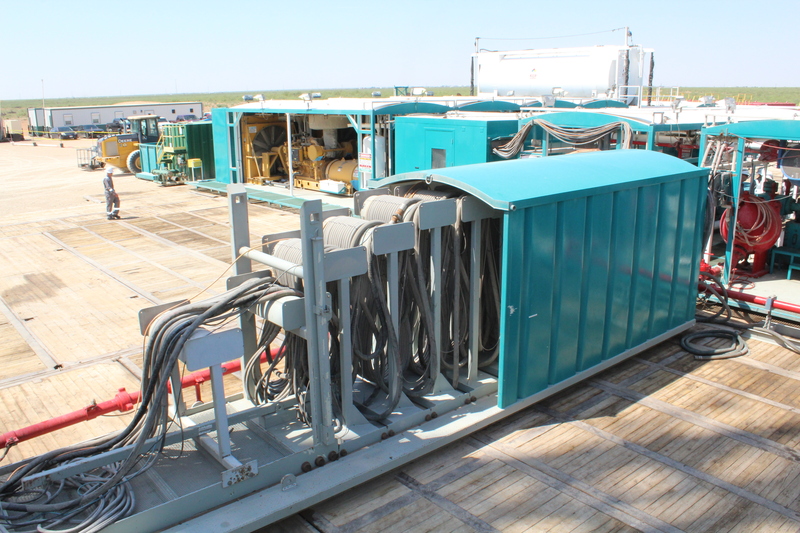 These kits give us the ability to power our drilling rigs from natural gas and/or diesel. Doing so lowers the rig’s environmental impact, and gives us the option of powering the rig dependent on cost, power supply, operation and geographical location. 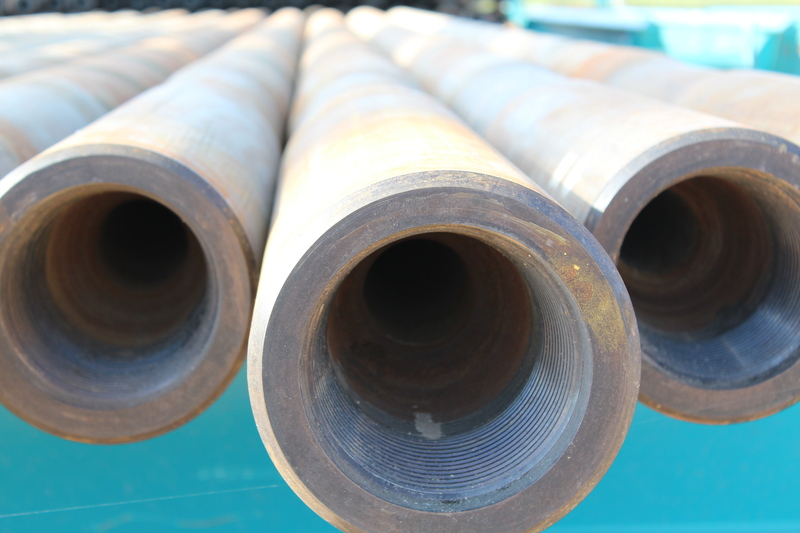 Traditional drill pipe is four-and-a-half inches in diameter. With increasing demand for higher fluid volumes and longer lateral reach, we’re increasing the drill pipe diameter on some of our rigs to five or even five-and-a-half inches, enabling Trinidad’s rigs to drill even faster and deeper than ever. Our integrated control system that allows Drillers the ability to control and monitor equipment from one main system in the safety of the cabin is at the center of new advances in technology. When our team’s complete, our current control system will integrate with above-ground data capture equipment and downhole tools to improve our performance and potentially our customers’ results. Stay tuned for more on how I.R.I.S. (Intelligent Rig Information System) will improve our performance in the future. At Trinidad, we’re always looking for ways to make drilling more efficient for our customers. Our 2017 upgrade program enhances our fleet with high performance, high-mobility rigs with advanced drilling controls.